The salsa music is on and I’m ready to write. The sun has set and just the faintest color of blue lies behind my madrona tree outside my window. 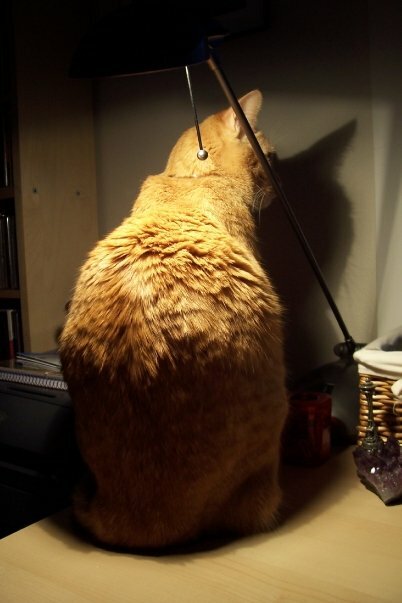 In a few moments the window will completely frame “black”… Just total blackness -click- standing up I turn on my desk lamp and now see my own reflection in the glass now turned mirror. Instinctively my eyes look at what is behind me. Perhaps I’ve seen too many movies? The killer stands quietly behind the unsuspecting…. writer, spy or innocent lady washing the dishes… Where did we get that instinct to always check what’s behind us? Now the killer only moves slowly and quietly for the voyeuristic crowd sitting in their seats with ICEE’s in their hands. It’s meant as a suspense builder in the movies. I mean, there is always this agent, just hanging out where there’s some good lighting, with her back to the whole room, getting ready to die. She’s calling her boss to tell them she’s bringing in the stolen super scientific silver tube of doom. And there’s that bad guy- or good guy depending on your political position on tubes of doom- he’s swirling the knife handle in his palm, arms stretched out like a praying mantis ready to strike. Honestly in real life I’m sure a bad guy would run up to the victim quickly to perform the deed; catch them by surprise. Walking slowly from across the room really doesn’t make much sense. I mean what if the bad guy gets tripped up on something in route to the target? There have to be at least ten different things that could happen from point A to point B. Perhaps he knocks over the lamp, trips on a shoelace, the floor could squeak, or he steps on a pile of newspapers. (Newspapers can be really noisy you know). It’s just stupid to think they would move so slowly in real life. The cat… it’s always the cat. No one suspects the cat.